Here's the first video in our series of exactly what to expect when buying a custom built PC from a major UK custom PC builder, OverClockers UK. So 10 calendar days after placing the order delivery day has arrived. But how reliable will the days delivery window be? And then after delivery it's unboxing time to find out exactly what's been delivered, has it all survived transit intact? Find out now of what to expect when ordering from OverClockers UK and probably most similar custom PC builders. Rather predictably, the elite-serving glove puppet media has decided it is right and good at this time to wheel on its handpicked, most obedient and servile journalists to opine about Piketty's new book “Capital”. This coincides with David Stockman's almost triumphant declaration of Greenspan-and-Bernanke's come-uppance Truth Moment (“America's Housing Fiasco Is On You, Alan Greenspan”). And, no doubt you’ve been hearing more than ever before about the subject of Lewis’ book, High Frequency Trading (HFT). I ran to Barnes & Noble to buy the book the second I heard about it last week. They didn’t have any copies. So, I ordered it online, which was cheaper anyway. In 1939 Peter F. Drucker wrote "The End of Economic Man: The Origins of Totalitarianism". Its publication caused a sensation. When Winston Churchill became prime minister of Great Britain he gave the order to include the book in the kit issued to every graduate of a British Officer's Candidate School. A year previously Churchill had reviewed the publication. It impressed him because he realized that something fundamental had happened in the world with the rise of Fascisms and he wished his officers to understand what they were fighting in Hitler's Germany and Mussolini's Italy. And what, you're asking, is a "G-Zero world"? 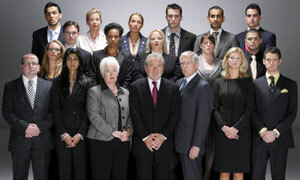 In a word, it's a leaderless world. A world in which, as Bremmer says, "Not so long ago, America, Western Europe and Japan were the world's powerhouses. Today, they're struggling to recover their dynamism…. But nor are rising powers like China, India, Brazil, Turkey, the Gulf Arabs and others ready to take up the slack…. If not the West, the rest, or the institutions where they come together, who will lead? The answer is, no one." Robert Ross, Casey Research : We at Casey Research are often asked, "What books have had the biggest impact on your investing philosophy?" To find out, we took a quick, informal poll of our most prominent economists, editors, and analysts to see which books helped form their unique economic outlooks. The books range from mainstays of the political economy, such as Thomas Sowell's A Conflict of Visions, to classics from antiquity, including Plato's The Republic. However, genres often overlooked – like our founder Doug Casey's longtime interest in science fiction – should give current and prospective subscribers a glimpse into the diverse influences that drive our publications. My Horrific EI have a Sony laptop computer. It is less than a year old. It was not cheap. I bought the best components, memory and hardware components options available including 3-year in home support. Thom Hartmann is famous as a liberal commentator on the radio, on TV, and in over a dozen books. But he has written here a book that is of far more than partisan value. Rebooting the American Dream: 11 Ways to Rebuild Our Country will please liberal readers, but it will also challenge them to revisit some of their own lazy beliefs. It will annoy conservatives, but the smarter ones will take notes and absorb some of his trans-partisan insights into their own politics. Back in 2007, just as the markets began their meltdown, I started writing a book I called Plunder to investigate the then emerging economic calamity. I had a well-known agent representing me, and, at that time, had published ten books. My agent warned me that I was ahead of the curve but agreed that the subject couldn’t be timelier. He starts the sold-out presentation with a tale of two readers on a business trip. Settled in for a long flight, Dr. Taleb pulls a book out of his bag while the fellow next to him pulls out the fashionable,expensive, razor thin, 500 book capacity Kindle to pass the time. A conversation ensues and comparisons are made. Common sense and marketing tell us that the Kindle is far more efficient, But Dr. Taleb is not so sure. He has reams of work on 1990s era floppy discs that he can no longer access. But books, the product of technology essentially unchanged in 500 years, present no such problem and will outlast the Kindle when it too becomes obsolete. Prechter's New York Times and Wall Street Journal business best-seller remains a useful read. In 2002, Elliott Wave International's president Robert Prechter published his New York Times and Wall Street Journal business best-seller Conquer the Crash, a prescient book that explained why a financial crisis was inevitable and predicted almost exactly how it would unfold. I originally wrote this list of recommended books last year; recently I updated and added a few more. I hope to keep adding to it every year. It contains six sections: Selling, Think Like an Investor, Behavioral Investing, Economics, Stock Market History, and Books for the Soul. Due to its length, I divided it into two parts. I hope you enjoy it. The bouyant stock market environment of the past several years is gone, and the financial wreckage of 2008 is still sharp in our minds as a new year starts to unfold. The Market Oracle readership can now cast their votes for their favourite articles of analysis and authors between 17th November and 14th December 2008. When the going gets tough, I often draw inspiration from the most unlikely sources - many of which have nothing to do with the financial markets. Buy and hold is dead! The extreme market volatility over the last decade should make this abundantly clear to even casual market watchers, but it is something that good traders have known all along: You trade securities, you don't marry them. Buying a stock is not a commitment "until death do you part." A friend once told me the story of a man he knew who worked at Worldcom during the go-go 90's and had his entire 401(k) invested in the company stock. He was waiting for his account to hit $2 million, and then he was going to cash out. It was almost there - $1.8m, $1.9m - something like that when the stock began its terminal decline. Instead of selling, he held on until the bitter end, until all was lost. Moral of the story: The market is the utlimate authority. It does not listen to you, nor care about your dreams & desires, so you had best learn to listen to it. Steve Selengut's "Brainwashing of the American Investor" is an eye-opening and intelligent book, which offers an analysis of the investment industry and a smart and practical guide to non-professional investors. Selengut is wary of the conventional wisdom of investing professionals, who appear to have abandoned the tried and true principles of investment, in favor of super-hype, organizational conformity, and greed. Selengut's back-to-basics approach builds on his critique of the Wall Street hypsters and their bandwagon mentalities. Instead, he serves up a clear set of economic principles, mixed with sound commonsensical advice. Bill Bryson's ‘A Short History of Nearly Everything' is a truly remarkable book. It is an ambitious attempt to decipher the mysteries of universe. Genuinely enthralling, it is a unique travelogue of science. Starting from the immensity of the universe, it beams us into the heart of sub-atomic particles and then some more. It is a captivating scientific journal and an extraordinary collection of information. 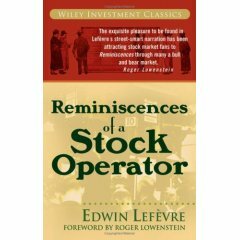 Reminiscences of a Stock Operator' by Edwin Lefèvre is probably one of the best and well known books on the subject of financial speculation, the book was published as the fictional biography of “Larry Livingston,” but is actually an biography of Jesse Livermore, one of the first famous stock & commodity traders ever. The man started trading after working as a boy in a brokerage house and trading in several of the tiny brokerages called “bucket shops” where small time traders would bet against the house, and eventually went on to become one of the most influential and widely-known traders of his day. He made, lost, and re-made millions at a time. What you will get from the book are some classic mistakes and the lessons learned from them; some of the best catch phrases in the business; insight into how the markets were manipulated then and probably still are now. One of the most important lessons mentioned in the book is that a trader does not have to be invested in the market all the time. This is the book from which almost every subsequent general trading book is derived. If you have ever wondered where the trading rule "Never average down" came from, just turn to page 154. Where did the comparison between greed and fear first originate ? Look to page 130.